If you’re looking for a great Madison credit union, Dane County Credit Union has you covered! We have branches conveniently located on the East, West, and Central areas of the city. All are full service financial institutions ready to serve you! If you can’t get to one of our branch locations in person, you always have account access via the DCCU mobile app or online banking. We are usually only a call, email, or live chat away too! We’d be sad not to see your smiling face – but we’ll still be able to help with anything you need! DCCU’s east side branch is located on East Washington Avenue right across from Gardner’s Bakery, and close to Madison Area Technical College. The west side branch is located on Struck Street close to Woodman’s. And our central location is on Rimrock Road, right by the Dane County Coliseum. Click on the links below to find detailed information about each branch including maps, hours, services offered, and more! Click your branch location below for contact information, hours, and a map. Find national or international fee-free ATM access for members of Dane County Credit Union. ATM Alliance One Network. 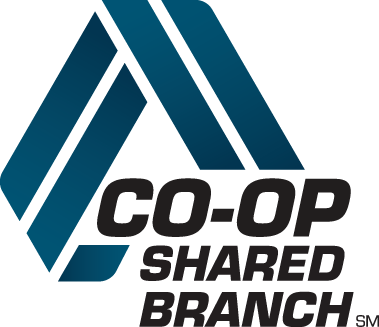 As a DCCU member, you can visit any credit union where you see the CO-OP Shared Branch logo, and conduct transactions just like you were at your home branch. Search CO-OP Shared Branch locations on your computer or download the CO-Op Locator mobile app in your app store. "I recently left a local bank where I worked for 14 years and I can say the DCCU staff is head and shoulders above one of their competitors." - Michael W.
"You guys are always great, courteous and accurate." - Cynthia A. "Staff are always friendly and helpful. For years I have referred to the credit union as MY credit union." - Thomas L.
"My first time asking for a loan and I got approved fast, not like other banks." - Vivian G.
"Just great service that makes you feel eager to come back." - Christopher G.
"I always receive prompt and friendly service from knowledgeable employees at DCCU. Thank you!." - Valerie G.
What type of loan do you need?